Apr 04, 2019: One of the first states where Rahul Gandhi formed an alliance as Congress president is Karnataka. Here the Congress formed a coalition government with the Janata Dal (Secular) backing its leader HD Kumaraswamy as the chief minister in May 2018. With the alliance in place, Karnataka is tipped to be one of the states where the Congress can inflict losses on the BJP. On the other hand, the BJP is looking at Karnataka as the only state in the south where it has some chance of doing well. If this happens, it would be a loss of six seats for the BJP from the 2014 Lok Sabha elections in which it won 17 out of 28 seats in Karnataka, the Congress 9 and JD(S) two. In the Assembly elections, the BJP was ahead in 13 Lok Sabha seats, the Congress in 11 and the JD(S) in 4. In terms of vote share, the survey predicts that the Congress-JD(S) alliance could get 51 percent votes while the BJP could end up with 45 percent. The comparison with the Lok Sabha and Assembly elections becomes interesting if we factor in the alliance impact. If the Congress and JD(S) had contested as allies in the 2014 Lok Sabha elections with a perfect transfer of votes, they would have won 13 seats while the BJP would have won 15. And if they had contested the 2018 Assembly elections with a complete transfer of votes, the UPA would have led in 21 Lok Sabha seats and the BJP in 7. So while the alliance is making significant gains compared to the Lok Sabha elections, the prediction of 17 seats is less than the 21 seats in the Assembly polls. The BJP has gained ground since last year’s Assembly elections. The transfer of votes between Congress and JD(S) hasn’t been as effective. These two factors have made several seats unpredictable. Out of Karnataka’s 28 seats, the Congress-JD(S) alliance has a huge lead in eight seats, according to the survey. On the other hand, the BJP has a sizeable lead in 4 seats. The UPA has a slight edge in three seats and the BJP in four. But in the remaining 9 seats, the contest is too close to make a decisive prediction. Even a minor swing of 2-3 percent from one side to the other can make these seats switch. There is a clear regional pattern to this. The Congress-JD(S) alliance has a huge lead in the Old Mysore region, where both are supposed to be strong and the BJP is comparatively weak. The alliance is extremely well placed in Tumkur, where former prime minister HD Deve Gowda is contesting as well as in seats like Hassan, Chamarajanagar, Mandya, Chikkballapur and Bangalore Rural. On the other hand, the BJP is better placed in its strongholds like Udupi Chikmaglur in coastal Karnataka, Dharwad and Bagalkot in the Mumbai-Karnataka region in the North and South Bangalore seats. However one stronghold of each party could be in danger due to internal rebellion. In Mandya, Sumanlatha, the widow of late Congress leader Ambareesh, threatens to harm the prospects of JD(S) candidate Nikhil Kumaraswamy, who also happens to be the chief minister’s son. On the other hand, in Bangalore South, the state BJP unit is unhappy with the candidature of Tejaswi Surya in place of the widow of late Union minister Ananth Kumar. 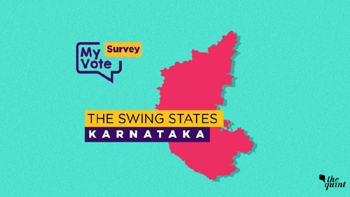 Irrespective of what happens in Bangalore South, the survey reveals that the BJP has made significant gains in the three urban seats in Bengaluru – Bangalore South, Bangalore Central and Bangalore North – compared to the Assembly elections. This could possibly be because of the Modi factor (especially after the Pulwama attack) as well as the comparatively low popularity of the party’s state leaders in the city, which adversely affected its chances in the Assembly elections. Since as many as 16 seats have very small margins according to the survey, the prediction of 17 for UPA and 11 for the BJP could change. The strong base of the BJP in coastal Karnataka and Mumbai-Karnataka regions and of the JD(S) in the Old Mysore region and its weakness in other parts of the state will ensure that neither side will get completely wiped out.